Lake Garda lures all kind of travellers, in fact it attracts 7% of all tourists to Italy! 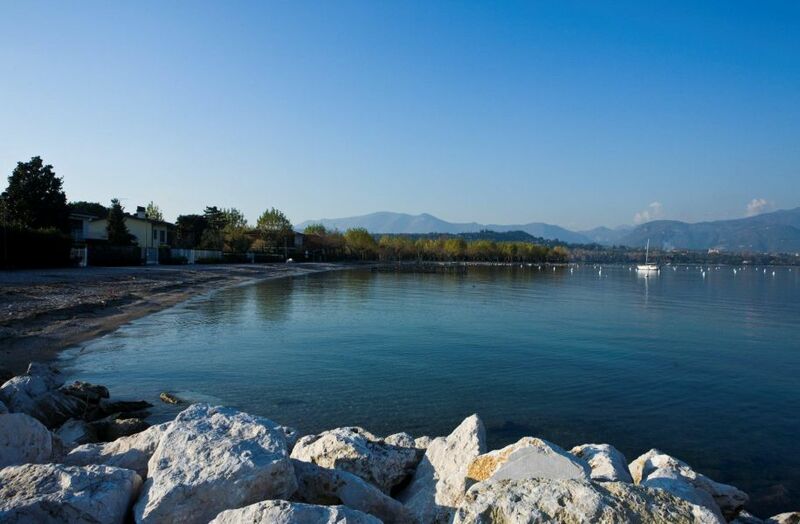 We offer a handful of breaks in this beautiful area of the world, in a little place called Manerba del Garda, located on southwestern shore of Lake Garda and is easily reached from Verona and Brescia. The area around Manerba offers opportunities for cycling; mountain biking and hiking on the hillside surrounding the lake; boating, canoeing and paddleboarding on the lake, as well as organised excursions to the Isola dei Conigli that can be seen from the beach near the hotel, and the larger Isola del Garda. There are also a number of golf courses nearby. If you hire a car you can also visit nearby Sirmione, Verona and Brescia, as well as the historic ‘Vittoriale degli Italiani’ in Gardone, once the home of Italian writer Gabriele D’Annunzio. It is also possible to visit local vineyards and lemon groves. So what type of breaks do we offer here? This flexible no-frills wine-tasting break is great value and includes a bottle of local wine, a visit to a local winery and also to a local lemon grove where you can try the locally produced olive oil (and limoncello!). What’s more romantic than a relaxing weekend break, staying at a Hotel just 50 m from the shores of Lake Garda with your other half? Soak up the relaxed, informal atmosphere of the beachfront at Manerba, where you can enjoy a leisurely walk along the shore or sit and relax at one of the outdoor cafes and restaurants. With Verona only an hour away, you can go and explore the city of Romeo and Juliet! Our package here includes a romantic drink in the hotel garden, a bottle of Spumante del Garda sparkling wine and a stay in a superior lake view room with balcony. Perfect for those who like a bit of excitement on their holiday! This multi-activity package includes a fantastic canyoning excursion that will get your heart pounding, a stand up paddleboarding lesson (it's harder than it looks!) and a guided bike tour of the area. If that isn't enough there is also one hours' free use of the hotel's clay tennis court. There are plenty of other activities that can be included too, just contact us for a tailor-made quote.